I am participating in National Blog Posting Month (NaBloPoMo), which is why I am blogging each day in November. Since I was struggling to post monthly throughout 2013, switching to daily is a serious challenge. In the process, I’m looking at what other bloggers are doing and participating with other themes or mini-events happening in the blogging community. Sunday is Super Quote Sunday. I’ve collected quite a few great quotes I’d like to share on this blog, which I’m sure I can match with at least one of my photos. Hi Liza! Thanks for participating in Super Quote Sunday. I’m glad to know that you’ll be participating again. 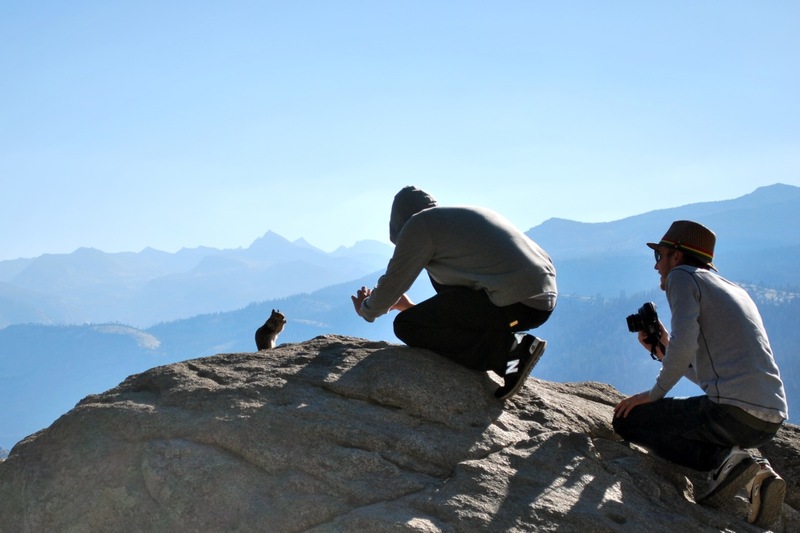 I love the photograph – amazing how close the squirrel allowed people to get to him! I’m doing NaBloPoMo too. Sundays are easy knowing that I have this to do!! You can use photos of your own, or art you like, anything you choose. When and if you post again on Super Quote Sunday, go to my Home page and add your link in the comments section of that Sunday’s quote. Or just use that link in the end of your post so I get a pingback. Either way is great. See you on Sundays! I swear that squirrel was a pro. He popped up at 11am, allowed a bunch of people to take his photo and then wandered away. I’ll be sure to link to the correct Sunday’s quote on your blog.